Healthcare trends in the U.S. have been big motivator for moving to Mexico for more than one expat. Given the projections over what healthcare will cost in coming years, I am surprised that I wasn’t trampled underfoot at the border by at least a few million of the 76.4 million baby boomers grasping the train wreck that lies ahead and likewise considering taking refuge from the America’s most rapacious cartel, its healthcare system. For those robust few youngsters who haven’t noticed, the fact is that people in the United States spend substantially more on healthcare than any other developed nation. While you would think that being the most expensive would translate into at least the comfort of being among the best. Not so. The U.S staggers gasping across the finish line in 37th place out of 190 nations ranked by the World Health Organization, behind such global economic powers as Morocco, Cyprus and Oman. Among high-income nations, the U.S. healthcare ranks last. Life-expectancy, at 78.4 years is lowest among the highest-spending nations and has gone down for the last two years. Sometimes you don't get what you pay for, to put it politely. Factoring in inflation, Dan McGrath, co-founder of Jester Financial Technologies, reporting for CNBC in February 2016 gave convincing evidence that a couple 65 years of age will spend $367,000 on insurance premiums alone if living to 87 years old. The scary thing about his estimate is that the study does not include co-pays and out of pocket costs like deductibles for prescription drugs. Prescription drug costs, along with the cost of prothesis devices (artificial joints) are major reasons why people in the U.S spend substantially more on healthcare than other developed nations. A great deal of alarm has been raised these last few years about the skyrocketing cost of drugs. Given that Big Pharma spends more on lobbying ($231 million) than any other industry, it's not likely to be addressed in any serious way soon. That the insurance industry comes in second to pharmaceutical concerns in lobbying expendures is no surprise either. Of you drill down further, the people paying the most are older people (women particularly), especially for cancer treatment, MS, diabetes, arthritis and depression. I have looked up the cost of the most common drugs and their prices (I included the $84,000 treatment for Hep 3 in my link just to give you a good laugh). Combine jaw-dropping drug prices with the fact that most older people take multiple medications and you have the biggest cause of bankruptcy in the U.S. even though a majority of those who declare bankruptcy due to medical bills have health insurance. Given these drug prices and the even more expensive drugs in the pipeline, expats are deciding it's worth the risk of forsaking a healthcare system that’s ranked 37th in quality for one that is ranked 61st (Mexico). How much more expensive are drugs in the U.S? Researching the cost of the 115 commonly prescribed drugs, here are the approximate median monthly costs if you have coupons and purchase them at places like Target, Costco and Walgreen against what they cost in Mexico. Take a special look at the cancer drugs. While outrageous prices are not limited to specialty cancer treatments, an estimated 40% of people will be diagnosed with cancer in their lifetimes, or one-in-three. The good news is that cancer is no longer always a death sentence, but as many once-deadly diseases are treated as chronic diseases, some treatments could go into the hundreds of thousands of dollars. Clearly, the time is coming where the quality of care will depend on the size of your portfolio, if it doesn't already. Many people already simply say no to buying medications when they have to choose between meds and food or the mortgage. These emerging specialty drugs could price out even some with very good insurance. The move toward tier pricing, where the consumer pays more for the most expensive "Tier 4" drugs means patients will increasingly be responsible for more of their costs. A friend of mine's cancer treatment (he's on Medicare) ran $1.3 million. Our system cannot maintain this economic burden. If politicians can't stand up to the cartel and lower the prices of drugs, doctors' fees, hospital stays, medical devices themselves, and allow the government to negociate drug contracts, they will have nowhere else to shift the cost other than to patients. Even if all my fears prove unfounded and I die in my sleep in Mexico, the decision to come to Mexico will have been the right one, having made my demise more likely to happen under a beach palapa with a piña colada in my hand rather than a bottle of Cymbalta. Related Links: Prescription drug prices are rising like no other industry and here are five reasons why, both articles by Money magazine. A good general guide to medical care in Mexico for the aspiring expat, by Monica Paxon. Next up: Life as a series of views on the way to the top. Most recent post: One of the most common questions about moving to Mexico is "Will I get lonely?" Kerry Baker is a partner with Ventanas Mexico, which researches resources and reasons to consider moving to Mexico, along with other insights into expat life. She is also the author of the "Interactive Guide to Learning Spanish Free Online," a curation of the best free tools on the web. 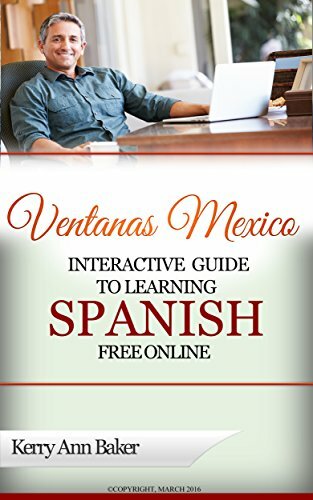 The Guide provides interactive links to high quality language learning sites or their free features that you'd never find in a Google search. Use the Guide to create fun, varied lessons every day. Spanish will make your life in Mexico a lot more fun and even less expensive. 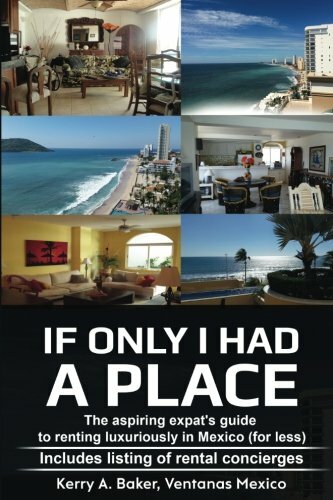 Recently she released "If Only I Had a Place" for aspiring expats seeking to rent in Mexico. The books provides a listing of rental concierges as well as a system to rent luxuriously every year.